Season 5 of PBS’s smash hit Downton Abbey wrapped up this week with a feel good, everyone (well, nearly everyone) ends up happy, finale episode. It will be hard to tell about this season without dropping a few hints, so be warned. THERE BE SPOILERS AHEAD. 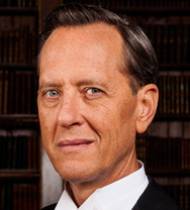 Simon Bricker – Played by the talented Richard E. Grant, enters the scene as an art authority interested in a priceless art piece of the Grantham estate by the Renaissance artist Piero Della Francesca. His visits to the Abbey come more frequent as it seems another beauty has caught his eye. 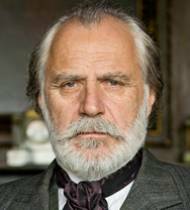 Igor Kuragin – Played by Croatian actor Rade Serbedzija, is a displaced prince from Russia’s bygone era of glittering balls and endless evenings of dancing. 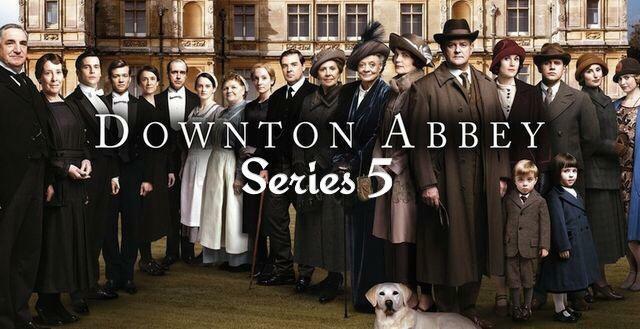 Events that the Dowager Countess lived for. Political turmoil separates Kuragin from his wife and forces him to live as a refugee. He finds an unusual ally at Downton Abbey to aid him in his search for his lost wife, but it is uncertain is that is what he truly wants. 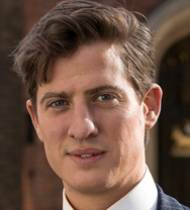 Atticus Aldridge – Played by Matt Barber, is the son of the wealthy Lord and Lady Sinderby. He is charming and delightfully shy and finds love in Lady Rose. He finds her open-mindedness and innocence appealing. However, one crucial element cannot be overlooked. He and his family are Jewish immigrants, and a mixed union is certainly frowned upon. 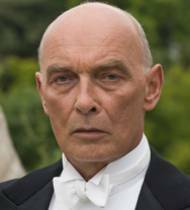 Lord Sinderby – Played by James Faulkner, is a severe man of few words. Those he does say are well placed and unapologetic. He is a proud man, and has worked hard for his success. As a Jewish immigrant he is wary of anyone outside of the faith, and the appearance of Rose in his life is a direct challenge to his beliefs. Lady Sinderby – Played by Penny Downie, is the mother to Atticus Aldridge and is warm and affectionate, making her a perfect compliment to Lord Sinderby’s austere manner. 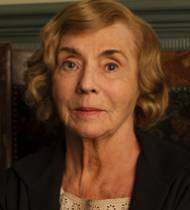 Gladys Denker – Played by Sue Johnston, is the new Lady’s maid to the Dowager Countess, and a very experienced one at that. 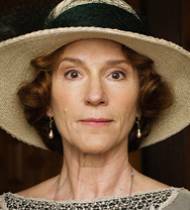 Her quarrels with Spratt are a constant source of amusement and annoyance for the Dowager. The fifth season is filled with a lot of one thing. Relationship changes. Nearly every single character faces a serious relationship change or drama. This includes a surprising number of proposals, I counted three but I might have missed one. One of these proposals does result in a wedding, although with it comes plenty of drama and intrigue. The issue surrounding Mr. Green’s murder continue, making life for Anna and John Bates difficult. Also the intrusion of Simon Bricker into the lives of the Granthams is a cause of turmoil. Dear Edith continues with her struggle to be a mother to a child she wasn’t supposed to have. She does her best to find inventive ways to be a part of little Marigolds life but they ultimately fail. Edith spends the entire season very glum and depressed because of it. In contrast to other seasons, this one thankfully does not end on a cliffhanger. No one dies at the last-minute. Don’t get me wrong, there are still plenty of issues that need to still be resolved. But in contrast to other seasons, this one ends on a generally happy note for almost everyone. The season is filled with intrigue, delightful characters, drama, and all the great things that make a costume drama fun to watch.